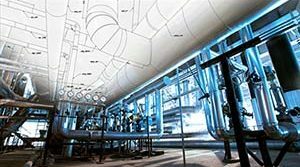 Hot Shoes for a Chemical Plant in Texas | Piping Technology & Products, Inc. 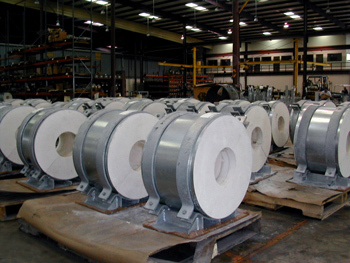 Piping Technology & Products, Inc. designed and manufactured 60 Marinite® hot shoes for a chemical plant in Texas. These hot shoes are composed of Marinite®(high-density calcium silicate) and carbon steel. They were made for 8 NPS with 7 insulation. These shoes are used on steam lines, effluent lines, and any other process lines where it’s imperative that thermal energy is not lost through the pipe support. 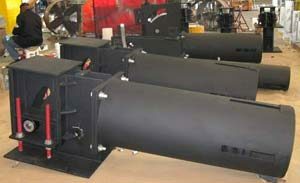 Tests were performed to show outer skin temperature at operating conditions. Want to learn more about hot shoes? Instantly view a pre-insulated pipe support webinar today.